Tennessee child support collection and enforcement answers to frequently asked questions about non payment, back child support, payment summary, card, arrearage, contempt, penalties, wage assignment, interest, arrears, income withholding orders, late child support, jail time, license revocation, getting behind, catching up, unemployment, underemployment, laid off, quitting a job, and judgments. Collecting back child support in Tennessee can be very stressful. When a parent who owes child support gets behind on payments, there’s often no simple solution. It costs money to hire a lawyer and file legal action. It may also cause the person who owes support to spend money on a lawyer instead of paying support. In most cases, doing nothing is the only wrong answer. First, some basic terms. In Tennessee, non-primary residential parents, called alternate residential parents (ARPs), owe child support to primary residential parents (PRPs). Parents who are owed support are called obligees. Parents who owe child support or alimony are called obligors. An arrearage is the amount owed for past support. Once reduced to judgment (a sum certain ordered by court), an arrearage can include past child support owed, reimbursement for unpaid expenses, filing fees, court costs, attorney’s fees, and interest. If an arrearage has been reduced to judgment, all orders should include an amount to be paid monthly to reduce the arrearage. In theory, the monthly arrearage payment due monthly should exceed the interest accrued monthly. What can a parent owed child support do once a child support payment is late — but before calling a lawyer? Ask for the payment. Communicate with the parent who owes support. Be polite, but firm. The money is owed. Don’t procrastinate. If payments are consistently late, ask the court to order a wage assignment, also described as an Income Withholding Order (IWO – discussed more below). If your ex-spouse owes a child-related reimbursement expense, send the appropriate documentation (invoice, receipt, or cancelled check) via e-mail or regular mail. Keep a copy of the communication asking for the payment. Again, don’t wait a long time after you incur the expense to ask for reimbursement, even if the other parent is significantly behind on support. From a legal standpoint, the money may still be owed but some judges may frown on parents owed support waiting several months or years to seek collection of child support owed for the benefit of the child. How late must the child support payments be before contacting a lawyer in Tennessee? Opinions differ, but generally a parent owed child support should wait 45 days to 90 days before contacting a lawyer. Any time shorter than 45 days and the PRP may be wasting effort if the late check arrives in the meantime. Wait longer than 90 days and the PRP is wasting time because the payment is probably not coming at all. After reviewing the court order and payment history, an experienced Tennessee family lawyer may advise writing a dunning letter to the ARP that says to pay up or the PRP will file a court action. If a court action is filed, a parent owed child support can seek filing fees, court costs, attorney’s fees, and interest from the parent who owes support. Even if a parent who is owed child support has waited longer than 90 days, get started and call your experienced Tennessee divorce and family law attorney. The money is still owed. Delaying rarely makes sense. What if a parent owed child support can’t afford a lawyer? A PRP owed money should contact a local state agency for help. That agency may work out of the local juvenile court. In some circumstances, a PRP may obtain free legal help for local and interstate child support enforcement. For more information, check with your attorney or your case’s clerk clerk’s office for a referral. What are the options if child support is not paid on time or in full in Tennessee? If the parent receiving child support can, learn why support is not being paid. If the non paying parent is just a bit behind, maybe consider giving the parent time to catch up. If the parent not paying child support has the money and is simply refusing to pay, court action similar to that described below may be required. What can a Tennessee parent owed child support do to enforce or require child support payments be made? Order the delinquent to serve jail time for willful failure to pay child support. What can I do if my ex-spouse refuses to pay child support in Tennessee? If a parent can pay child support, has been ordered to pay child support, and still refuses to pay child support, talk to an experienced Tennessee family lawyer to discuss your options. You may need to proactively do everything possible to try and compel payments including asking the court to sentence the other parent to jail for non payment. Can a parent quit a job to avoid paying child support in Tennessee? No. An existing child support order must be paid unless and until it is modified or ended by court order or child support ends by operation of law. Even if the non paying parent files a bankruptcy petition, the back child support obligation must be paid. What can the State of Tennessee do to enforce child support that a privately hired lawyer can’t? The State of Tennessee has special collection powers because it is a governmental entity. In addition to the relief described on this page, the State can also obtain orders pulling money out of tax refunds, revoking passports, and showing balances owed on credit reports. What is the punishment for not paying child support in Tennessee? If a court finds that back child support is owed, the arrears will be reduced to judgment, a monthly arrearage payment will be set, interest can be added (12% simple interest), a wage assignment is ordered, and attorney’s fees can be awarded to the parent having to go to court to enforce the court ordered child support. Any other penalties for not paying Tennessee child support? Yes. If the court finds that the non payment of child support was willful, the court can sentence the non paying spouse to jail until payment is made or as a punishment. In addition, state issued licenses can be revoked. Jail time for non payment of child support in Tennessee, really? Yes. Not every petition for contempt results in the ARP serving time in jail. But Tennessee courts can and do send delinquent ARPs to jail. Usually, the ARPs who are sent to jail are repeat offenders or don’t have a job to lose. Obviously, no one wants an ARP to lose a job that will prevent the parent from ever catching up with payments. Some ARPs go to jail because they have the money to pay, but instead spend the money on luxury items and trips. If this is a concern, discuss this with your lawyer. In general, jail time is more likely to be ordered if the non-payment is persistent such as when multiple petitions have had to be filed or it is obvious to the court that a parent can pay child support but is refusing to pay. In order to sentence a parent to jail for non-payment of child support as a punishment, it must be proven that the parent had the ability to pay the child support at the time each payment was due. How long can you go to jail for not paying child support in Tennessee? A parent who fails to pay court ordered child support can be sentenced ten days for each willful violation of a court order. Every month a child support payment is due but is willfully not paid can be considered a violation. 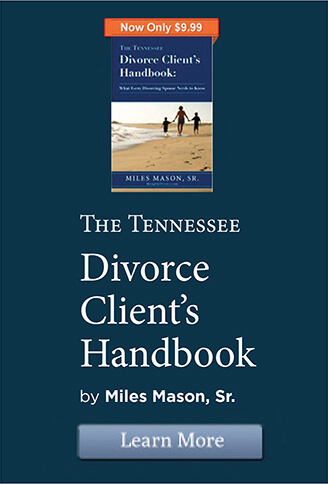 What advice is there for a parent behind on child support in Tennessee? Talk to an experienced family lawyer. Can you lower your monthly obligation? Ask your lawyer whether you should talk to the PRP. Do everything possible to pay all amounts due on an ongoing basis. Work out a payment arrangement on the child support arrearage that you can afford and have that arrangement approved by the court memorialized in an order. If you can’t afford to pay the current child support order, talk to a lawyer about filing for a modification to reduce child support owed and/or setting a payment plan on the arrearage. Consider getting a second job. Slash your spending. Attend Dave Ramsey’s Financial Peace University, usually offered at churches throughout America. Dave Ramsey teaches money management, budgeting, and responsibility. Never delay. Due to the statutory interest charged in Tennessee (12% annually), waiting to deal with this problem can become very costly very quickly. What happens if you get behind on Tennessee child support payments? A parent who gets behind on Tennessee child support payments should immediately seek legal advice from an experienced Tennessee family lawyer about your particular situation and legal options. Don’t wait. If there are reasons why child support can be reduced or arrears determined and paid over time in an amount you can afford, explore those options. Each month child support is owed, it is a judgment for that amount owed. Only in very special and limited circumstances can that amount owed be changed. A new law was enacted in 2015 that may provide an opportunity for some relief, but only if the parent owed child support, the person who owes child support, and the court agrees to a settlement. To learn more, see Back Child Support Now Waivable Due to Change in Tennessee Child Support Law. What if you can’t pay child support in Tennessee? If you can’t pay Tennessee child support, determine if you are eligible to have your child support reduced. If you lost a job or received a pay reduction, you may be eligible for a reduction depending on the circumstances. If you are substantially behind, it could be to your benefit to ask the court to set a reasonable monthly arrearage payment you can afford. What about paying Tennessee child support while unemployed? Paying Tennessee child support could depend on the circumstances. 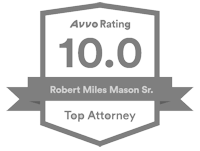 Always speak with an experienced Tennessee family law attorney to discuss your situation and your options. If there was a layoff, it may make sense to petition the court for short-term relief for a reasonable period of time to find a job. If you were fired for misconduct, say employee theft or for being arrested, it is less likely the court will reduce or abate child support. Do you have to pay child support if you are unemployed in Tennessee? Yes. Even if an employer no longer takes child support out of your check, child support is owed every month. It is the parent’s obligation to pay child support as long as the order remains in effect. Do you have to pay Tennessee child support if you don’t have a job? A parent who owes Tennessee child support is legally required to continue making payments even if that parent doesn’t have a job. So, look for a job. In the meantime, speak with an experienced family law attorney about seeking a temporary reduction in child support during this job loss. To defend against a petition for contempt for non-payment of child support, keep records of your job search including applications and job counseling. For each application, keep copies of all documentation and detailed notes of how and when each application was submitted, the name of the company, the name of the person to whom it was submitted, how you learned of the position, and what follow up was done. Whenever possible, keep a copy of the application. Don’t come to court with a very vague description of your efforts such as “I looked online and fill out applications every day. But, I can’t tell you to whom I applied for a job.” Attend all free job counseling and job fairs, even if the jobs don’t look like your type of jobs. At least make an effort. In the meantime, consider delivering pizzas or working at a restaurant. If even that will not earn you enough money to pay the full support amount, taking a lower paying job may keep you from being sent to jail. Earning something and paying some child support is always better than earning nothing and paying nothing. If you are struggling emotionally, seek help. Consider asking your pastor, priest, or rabbi for advice and counsel. Are there resources near you such as counseling or support groups? Talk through your problems with someone you trust and respect. Do your best every day to make your life better. Take control. Make progress. The better you feel about your life, the more likely you will find what you are looking for. How to avoid paying Tennessee child support. As long as there is a legal duty to pay child support in Tennessee, child support will be owed unless there is an order terminating the obligation or child support ends because the child reached 18 or graduated with his or her regularly scheduled class. Child support can terminate if parental rights are terminated or the child becomes emancipated. Parental rights can only be terminated is if there is an adoption by another person, such as a step-parent, or if a court terminates parental rights because of serious and pervasive harm to the child or abandonment. A new law was enacted in 2015 that may provide an opportunity for some relief, but only if the parent owed child support, the person who owes child support, and the court agrees to a settlement. To learn more, see Back Child Support Now Waivable Due to Change in Tennessee Child Support Law. Is there help for fathers paying child support in Tennessee? 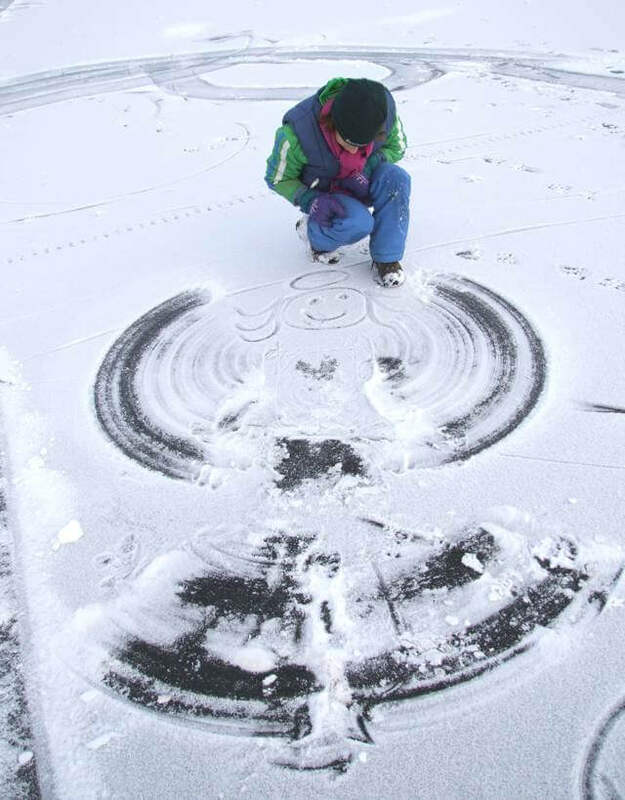 Always enjoy your parenting time with your child. If you haven’t seen your child in a while, don’t avoid parenting time just because you haven’t been able to make child support payments. The law sees visitation and support as separate issues – so should you. If you are a parent who owes child support but is being denied parenting time, call your attorney. Most Tennessee judges will protect a parent’s right to visitation even if that parent is behind on child support. If you can’t make child support payments, determine how that happened and why you are in the situation you find yourself. Paying child support requires sacrifice and commitment to adjusting your spending to what is necessary to pay your child support. Consider listening to Dave Ramsey and learn how to budget and live according to your budget. 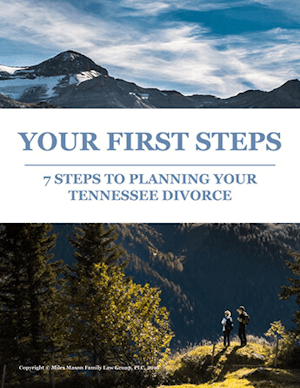 If that is not enough, speak with an experienced Tennessee family law attorney and learn your legal rights and options. For all you know, there may be something that can be done. Not being a “Deadbeat Dad” means doing the best you can every day. Many a great father has been labelled a “deadbeat dad” unfairly. No one is perfect. Even the most well-meaning parents can find themselves a bit behind on bills. It is immoral for a parent to demean the other parent in the presence of the children by name-calling the other parent a “deadbeat dad” in any circumstance. If there is no way to pay what is owed, speak to an experienced Tennessee family lawyer about options. Determine if there is a way to lower child support or set an arrearage payment by agreement that is low enough to help out the situation. A father who is behind on child support should make every effort to pay what he can. If that means working overtime, work overtime. If that means getting a second job, get a second job. Budgeting will help. As Dave Ramsey advises: don’t use credit cards, avoid car notes, and eat out less. Lower monthly expenses. Save money. Change your lifestyle. What is a wage assignment order for child support in Tennessee? How do I get a wage assignment? What is an Income Withholding Order? A wage assignment is available to anyone owed child support in Tennessee. Wage assignments require employers to take the support out of paychecks before the support obligor receives his or her pay. The money is sent to the State of Tennessee to be paid to the child support recipient. It’s like a garnishment for child support. Some courts require this assignment right from the beginning of the support obligation. If a parent is late paying child support, many judges will order a wage assignment upon request. An Income Withholding Order (IWO) is the legal document that needs to be completed and signed by a judge to being the process. Tennessee law directs that all child support should be paid by wage assignment unless good cause exists not to order a wage assignment. Many of Tennessee’s larger employers have payroll departments who are experienced at garnishing wages for many employees. Some smaller employers may refuse. For more details, ask your experienced Tennessee family lawyer if you should ask the court to order a wage assignment if one is not already been ordered. Once there is a court order, each court and/or county has a procedure to record and enforce an IWO. If the court has already ordered a wage assignment but it hasn’t been processed yet, learn how to complete the paperwork and who processes the forms. Each court and county may have slightly different procedures and/or required forms to be completed accurately and signed by a judge. If you don’t have a lawyer, try contacting the court clerk handling your child support matter. Why is it legally important that every month child support is ordered it is treated as a judgment in Tennessee? Under Tennessee law, child support is special. Every month child support is owed, the law treats it as a judgment. Child support is not like credit card debt. There need not be a failure to pay and a separate court determination for a judgment. This means child support orders can’t be modified retroactively — a court doesn’t have the authority to modify prior judgments unless certain limited exceptions apply. A new law was enacted in 2015 that may provide an opportunity for some relief, but only if the parent owed child support, the person who owes child support, and the court agrees to a settlement. To learn more, see Back Child Support Now Waivable Due to Change in Tennessee Child Support Law. Also, child support can’t be discharged in bankruptcy. The money owed is owed until paid. Where can I learn more about child support collection and enforcement in Tennessee law? 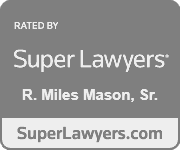 For updates, analysis, and commentary, check out our Tennessee Family Law Blog category Child Support Collection. For analysis, updates, commentary and case law summaries, view the Child Support Collection category of our MemphisDivorce.com Tennessee Family Law Blog.